Vintage style black and white leather armchair with vintage black leather seat and back and genuine black and white cowhide covering the sides of the chair making it a real statement piece. 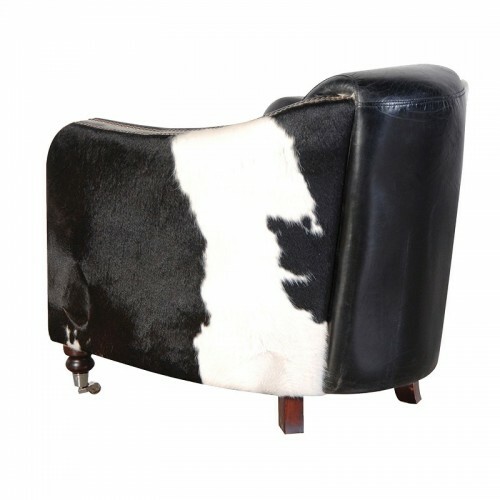 Made form high quality leather and cowhide with studded arm rests and castor wheels. 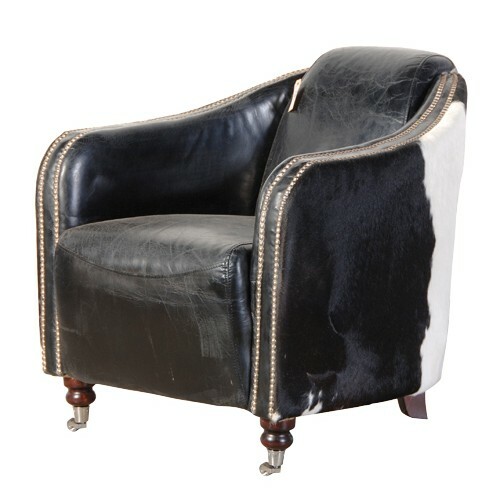 Leather Info: Hand crafted to replicate antique worn look that would have resulted with years of usage. Natural hide colour can vary.